Originally from a Suite in A for solo harpsichord, this Air makes an ideal opener for a concert or recital. Written ornaments and flourishing trumpet lines help make this a great showpiece for the trumpets in a brass quintet. The key has been altered into a more friendly key for performance on b-flat trumpets as opposed to D or piccolo trumpets. 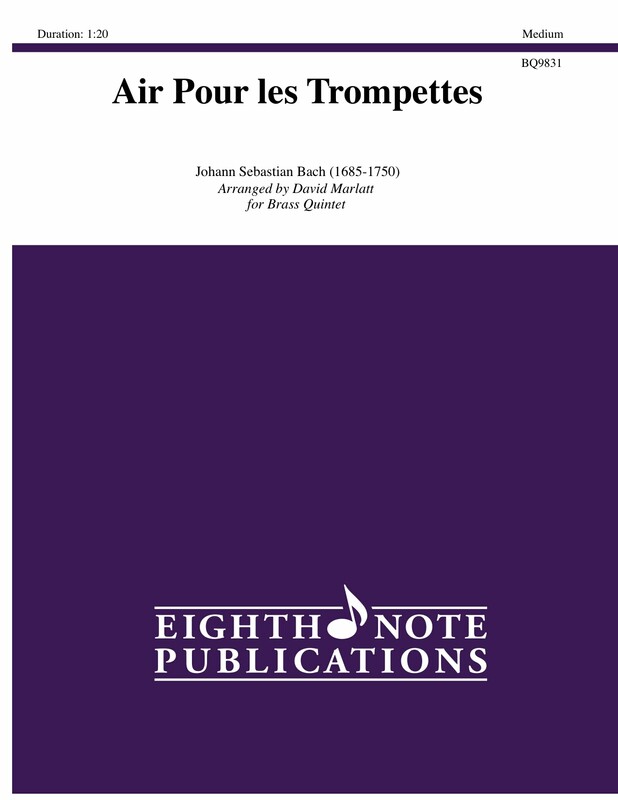 It is a short piece that will be a favourite with audiences and start your concerts off on the right note!